You’re a good person, right? heck, you probably even pay your taxes on time and avoid speeding whenever the cops are watching. And that ought to count for something, right? I’m not saying I’m personally any different. It’s human nature to wait in the wings and let someone else go first. On the other hand, you want to be someone worth following. A person of note. A leader of leaders. I know you see this coming, right? There’s a conflict there. You can’t be passively good and expect great things. There needs to be some risk involved, and you can bet there’ll be some skinned knees and bloodied noses along the way. Recently I set out on a trek to attend the first ever Tribe Conference hosted by Jeff Goins. I attended for a couple of reasons. First, I was on a mission to become better at what I do. Second, because Jeff Goins is, for my money, the most legit and sincere authority around on the subject of building a tribe. He’s the real deal – and a solid human to boot. Top that off with the fact that he lined up such speakers as Ally Vesterfelt, Sonia Simone, Michael Hyatt, and a host of other brilliant authorities – and attendance becomes pretty much a no-brainer for anyone hoping to make it in this space. When you spend time in the presence of people like these, you know immediately that they’re leaders. Authentic leaders. They’re quality people worth following – wherever it is they choose to go. When you have the opportunity in life to cross paths with greatness, you have two choices. Observe it like a television show. I’m safe over here, the action is over there. I’ll just sit here and watch for entertainment while I shovel popcorn into my face. Absorb it like a sponge. Dive in, get dirty, emulate what the successful people do, and learn to be a better leader. At the Tribe Conference, I found myself motivated to go the second route and learn from all the smart people up on the stage. Have you ever been listening to a speaker, and certain things they say seem to be directed at you? Every so often you find yourself nodding and saying, “yes, exactly!” while reading a blog post – as if the content had been inspired by your life or your circumstances. When something resonates that strongly with you and speaks directly into your ear, it’s your duty as a human being to pay attention to it. It’s life speaking to you. It’s opportunity inviting you behind the velvet rope. When those moments come, absorb them. Soak them up and take advantage of them. Here are 5 of those moments from the first day of Tribe Conference to keep in the forefront of your mind. If you listen, they’ll speak to you just as they spoke to me. Your challenge along the path of becoming someone worth following is to find what Jeff calls your Tribe. Your Tribe is your fan base, your enthusiastic group of followers, your group of influencers. Your Tribe is already out there somewhere waiting for you, their leader, to appear and show them the way. “Said the guy who wrote the list post.” I get it, but bear with me. What Allison meant by this is that there is nothing more important than fighting for “the rawness and realness” of your own voice. Stay true to who and what you really are – not to what you think other people will buy. I spent a massive amount of time reading Allison’s blog after she spoke. You should do the same. The most valuable takeaway from Bryan’s talk was his obvious passion for issuing challenges. He challenged Jeff to start a coffee company in 48 hours a while back, and at the conference he laid down a challenge for the attendees to manually add at least 10 email addresses to their lists during the conference. Two people got more than 100, by the way – with pen and paper no less. Bryan reminds us all that sometimes you just need to jump in and do it. You’re someone who creates things. You make points with words, you create art, or you spread ideas. As leaders, sometimes we forget what a rare and powerful skill that is. Sonia calls that magic. That’s what it looks like to those who follow you. Take time to appreciate and honor yourself as a magician. Speaking of things that hit home personally, this sentence may as well have begun with, “Hey, Gary.“ If you’re like me, you want to help people who need help – and you want to help people who have helped you. But do you take the time and initiative to just help – or do you spend the time you could be helping asking about how you can help? Guilty here, my friends. In fact, shamefully enough, I’ve done that to Jeff. Join me in taking the initiative, jumping in, and getting dirty instead of waiting for someone to ask. New leaf turned. Check. We all have a responsibility to ourselves and the world to be people worth following. How about we commit to taking action on that together right now? For the next 30 days when you wake up, ask yourself the following questions. I’ll be doing it, too. Who is my Tribe and what can I do for them today? Am I committed to staying true to who I really am as I work today? How will I challenge myself and others to take action today? What magic will I be performing today? Who can I help right now without being invited? The challenge is for you and I to ask ourselves these 5 questions daily – and act on them – each and every day for 30 days. Then come back here to the comments, or my contact page, or drop me an email and tell me what happened. Did these 5 gems resonate with you as strongly as they did for me? I love this and you are spot on with your take-away of the conference. I found myself pouring through notes all day today and reading the blogs of the speakers…just to understand the craft even further. I love your 5 questions too–I took a screen shot of them so I can participate. Fantastic ideas me great post!! Sorry we didn’t get to meet there. (I don’t think, right?) I’ve spent a lot of time with my notes as well. And done a lot of reading and subscribing to their blogs, too. Wow. What a great time. What a great use of time! And I’m thrilled you’re using the questions. I love what Allison said about not just writing what sells. Recently I started an experiment where I send one email to my list that’s teaching them something about copywriting, and a second email that talks about my personal experience in business that week. The second gets higher open rates, and engagement on email, than the first. It’s teaching me again that people connect with *people*, not products. I found you through BoostBlogTraffic. 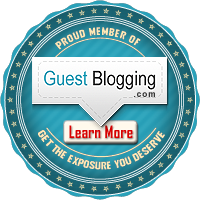 Your guest posts are extremely useful, thanks for sharing what you know! Jeff Goins really is something, huh? I’ve only visited his blog and read his posts, but the immediate sense I got was that this guy was 100% authentic. It’s really hard to explain, but it’s just the feeling that despite being over 8,800 miles away (I’m based in Melbourne, Australia), he might as well be sitting next to you. I didn’t know that he had this event on, but I reckon I would have benefited from it. The idea of building a very strong bond with a set group of people fascinates me, hence why I started my website, tribeguy.com. If I could build it up to be half as great as Jeff’s, I’d be over the moon. Regarding the first question, do you think you should know right off the bat exactly who your tribe is? Do you think you should know who they are before you set off building your blog and selling yourself, or is it OK to do it as you’re going? Thanks again for sharing your experience at the Tribe Conference. I’m going to Tweet this article so I can keep those five questions top of mind.